Mitsubishi Motors plan to refocus its lineup on Plug-In SUV's and electrified sedans under a new three-year business plan that aims to boost global sales 29%. At this month's Tokyo Motor Show, it will unveil three electrified concepts: a plug-in hybrid SUV, a plug-in crossover and a microhybrid van with an engine start-stop system. The Outlander plug-in hybrid, already on sale in Japan and Europe, is due to be launched in the US but may not arrive in the United States until 2015. The company will push electrified drivetrains in a bid to make 20 percent of its vehicle output either all-electric or plug-in hybrid by 2020. That will entail the development of a next-generation electric vehicle technology that gets a longer driving distance on each charge and a lower price point. Mitsubishi will downsize EV components and aims to introduce a wireless charging system. Earlier this week on the eve of unveiling the mid-term plan, Mitsubishi announced it was furthering technology and vehicle development ties with the Renault-Nissan Alliance. Under that deal, Mitsubish plans to sell a Renault-based mid-sized car in the United States. The car will be the first of two Renault-based sedans sold by Mitsubishi under the product and technology exchange. As part of the latest deal, the companies also aim to share technologies and "product assets" related to electric vehicles and recent product platforms. Nissan is the global market leader in electric vehicles, with its Leaf EV, while Mitsubishi, which markets its own EV called the i, has made EVs and hybrids a central pillar of the company's mid-term business plan. Mitsubishi and Nissan will further cooperate to develop a new small car to be sold globally. An electric version of the car is also planned. 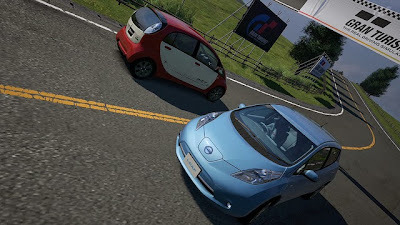 That car will be based on a jointly developed platform for Japan's minicar segment, a type of car restricted in overall dimensions and restricted to engines no bigger than 0.66-liters. The company says they will boost R&D spending by 30% to an average of 80.0 billion yen ($812.7 million) a year over the next three years, compared with 63.0 billion yen ($640.0 million) a year over the outgoing three-year business plan.